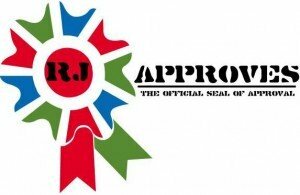 Rackspace | RJ Approves This Message! Today, news hit the stands that VMware was going to offer its VMware “cloud” services in both Microsoft Azure and Google Cloud platform. Another piece of information that came about is that Google is in talks with Rackspace to provide VMware support for “VMware on GCP” as a product. A senior VMware executive, who wanted to remain anonymous, spoke with me about Google’s concerted effort to work with Rackspace on getting them to support any and all VMware deployments on GCP. Executives of both the companies met about three weeks back in San Antonio to discuss and begin early product development to build an operational support model. Rackspace has one of the world’s largest hosted VMware footprint with about ~98000 single tenant virtual machines and growing at around 2500 virtual machines a month. The VMware business generates an estimated $450 million dollars a year for Rackspace and it is no doubt that GCP is looking to get a good chunk of it. Interestingly, there has been little discussion done over VMware support on the Azure platform, so that is yet to be seen. All this will look good for Apollo Equity when it goes public with Rackspace before end of this year. They are already halfway finished in getting there and insider sources say that they will be going public before the end of this year and aim to reach an asking price of $78 a share!